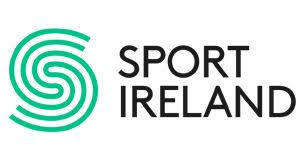 Maria has been appointed by Sport Ireland- the Irish Sports Council- as a designated provider for executive coaching services for the Irish Sports sector. About Sport Ireland Sport Ireland brings together the Irish Sports Council, National Sports Campus Development Authority, Irish Institute of Sport and Coaching Ireland to form a new, streamlined and dynamic body to drive the future of Irish sport. Maria has been serving as an Executive Coach, Group facilitator and Trainer for the Irish Sports Sector through the Irish Sports Council and the National Governing Bodies. Her experience within the sector includes the GAA- Gaelic Athletic Association, Croke Park Stadium, Swim Ireland, Ladies Gaelic Football Association, the FAI, Badminton Ireland,Tennis Ireland,Cerebral Palsy Sports, Irish Surfing Association, Athletics Ireland, Table Tennis Ireland, Confederation of Golf in Ireland, Irish Underwater Council, Triathlon Ireland, Paralympics Ireland, Volleyball Association of Ireland, Camogie Association, Irish Judo Association, Federation of Irish Sports, Cricket Ireland, Leave No Trace Ireland and more. for a variety of training and executive coaching interventions. Maria is an exceptionally talented consultant and we have received excellent feedback on her work from all our client sporting organizations. She is reliable, diligent and trustworthy. I would have no hesitation in recommending her to a 3rd party.” Alan O Hare – Head of Organisational Development & Change.